Guy Fieri is opening up a wine tasting at his Sonoma Country vineyard in California. 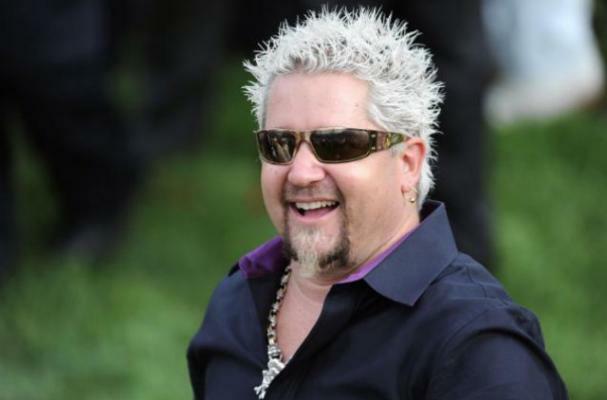 Fieri recently purchased the pinot noir grapes vineyard with plans to open a wine tasting room, explore organic farming techniques, and teach kids about cooking. Fieri's company, Knuckle Sandwich, LLC, has sent in an application for the tasting room and related events, but there are noise level concerns since there are many cyclists in the area. While he is not sure what to name the wine, Fieri has an idea that pays homage to his family. "Our son's names are hunter and Ryder, so we'd call it the 'Hunt and Ryde," he said.